A new transportation alternative is available on campus as students can now rent bicycles for 50 cents per half hour provided by the bicycle-sharing company, LimeBike. Incorporating bikes that produce absolutely no carbon footprint can help save the planet little by little and makes transportation easier for students to get to campus or wherever they need to go. 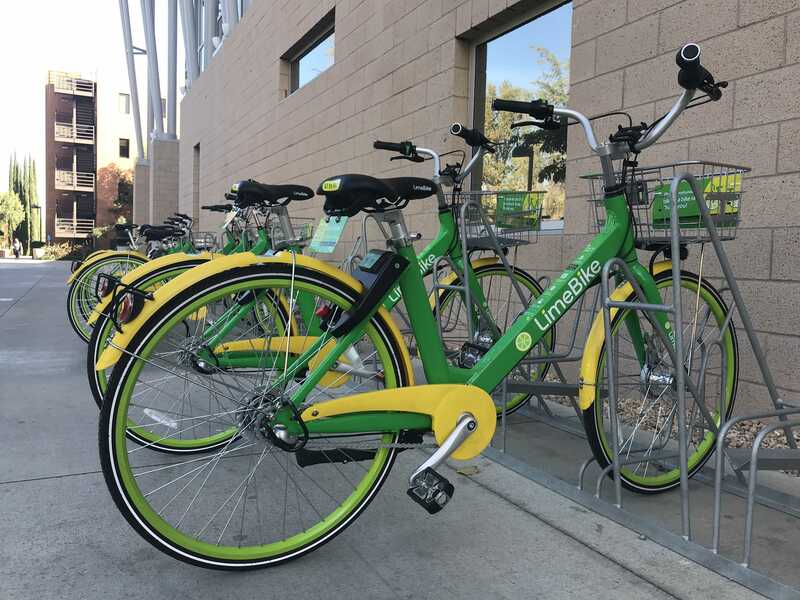 “[It’s] an affordable way for students to move around campus, making it a faster transportation and improving parking spaces,” Operations Manager of Los Angeles for LimeBike,Tyler Hendershot said. Adding that he sees no negatives or injuries with bikes being implemented on campus. All students need to do is download the app on their mobile devices.On the app, students must make a profile and input credit/debit card credentials. They will then be able to see where the bikes are located. To unlock and use a bike, the student must scan a QR code found on the back of the bike with the app, then ride away to their destination. Unlike other bikes where you must return it to a specific dock, these bikes can be docked at any of the LimeBike locations. Once done, the student must close the back lock and may look at their distance and the total of their ride. “[It’s] a great help to the majority of students who walk everywhere,” 21-year-old biochemistry major, Alex Alon said. With college costs and personal expenses, LimeBike is affordable at $1 and hour. Students who use the tram can get to class and other destinations on time.